43 Red Deer in Highfields Farm, Chasewater on 17th March 2008. 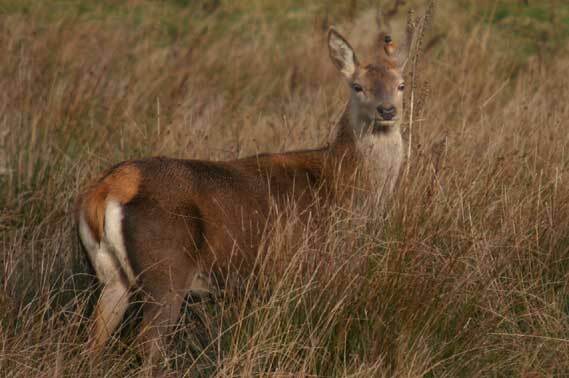 Deer have been recorded in the Chasewater area for the past 30 years and although one or two of the early sightings were, probably erroneously, reported as Fallow Deer, all recent records of large deer have referred to Red Deer which are now present in good numbers. I first encountered Red Deer in the Chase area when the Two-barred Crossbill was at Beaudesert from 16 Dec 1979 – April 1st 1980. I remember seeing up to 20 at the foot of Castle Ring hill and there were reports of them soon after in the Gentleshaw Common area. They had arrived at Cuckoo Bank/Bleak House when the CWG were campaigning against the Open-cast mine. There was a letter in one of the local free papers saying there were no deer but Graham would regularly see 3-4. The first sighting at Chasewater was, he believes, around the early 1980’s. We are still trying to discover where they originated from and any information would be welcome. They probably escaped from a local farm where the farmer was trying to rear them but failed to put up appropriately high fences! By the late 80’s they were on Brownhills Common. You could then find tracks leading from the west shore of Chasewater, down along the old railway line and onto the Common. 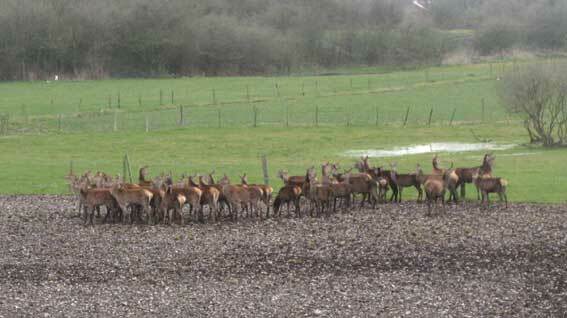 These were possibly hinds moving into areas of greater cover to drop their young in May. I referred to this in the evidence against the BNRR (M6 Toll) which I wrote on behalf of the Chasewater Action Group. 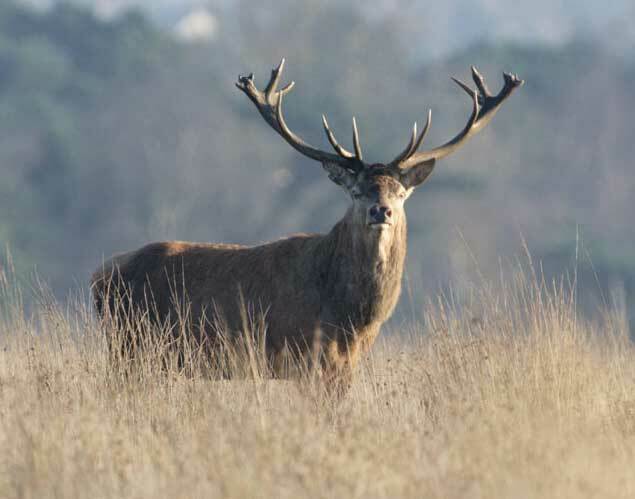 The Inspector at the BNRR Public Enquiry said there was no evidence of any movement of Red Deer in the area and that there was, however, a slight chance of Muntjac, for which fences would be put up along the course of the Motorway. Soon after the Inspector’s comments, road signs were put up along the A5, Chester Road and Parade warning motorists about Deer! 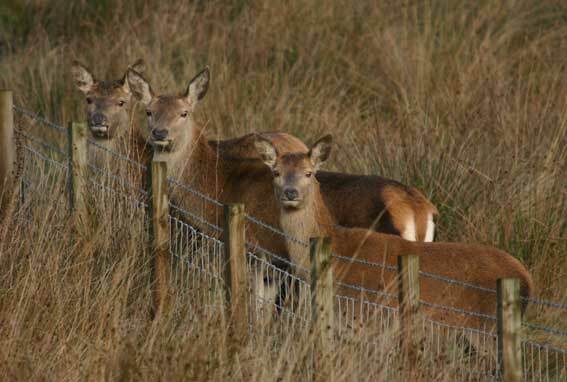 Red Deer used the motorway corridor during construction to feed, loaf and generally prove they didn't exist! They have since been seen at Hammerwich, Pelsall, Great Wyrley, Georges Hayes and Kingswood (they spread along the coal access road between Bleak House and Kingswood). Up to 56 have been seen on Cuckoo Bank/Bleak House. They are also seen on No Man’s Bank, around Chasewater itself, on Brownhills Common, and large numbers also on Wyrley Common and elsewhere. The tiny and elusive Muntjac is also occasionally seen, though it is more likely that its footprints and droppings will be seen several times before you actually see the deer. 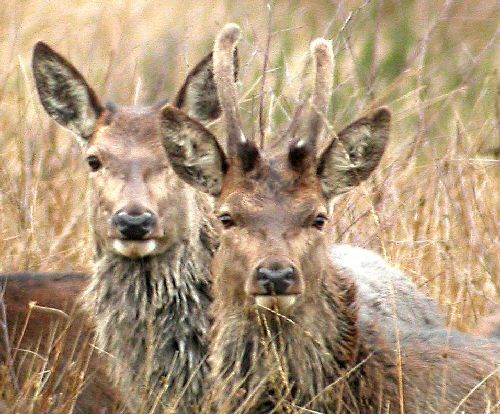 The deer population under consideration (which does not include the small herd which frequent Chasewater) had been increasing unchecked over the previous ten years. Counts indicated that there are about 100 animals across the area studied, and these were split between three herds each of which usually frequented their own 'patch'. With no prior management, the health of the population had deteriorated, and there were individual animals in very poor condition. It was these individuals which were to be culled and would represent only a very small proportion of the whole herd. It would appear that there has been regular control of deer numbers since this time but rather than just animals in poor condition being culled it would appear that there has been a certain amount of trophy hunting going on since the numbers of magnificent mature stags has dwindled to the point that no real competitive rut now occurs on Cuckoo Bank.